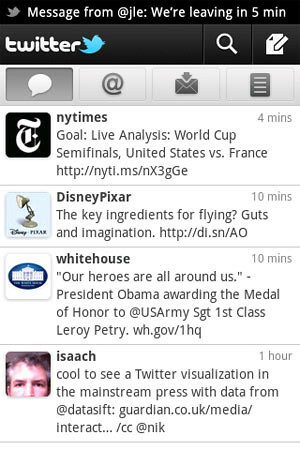 The company has released a new version of Twitter for Android devices with new features. First up, push notifications. Push notifications, as we know it, lets you know when you get new @mentions, DMs or Tweets no matter what you’re doing on your phone. To enable this, just go to account settings, select “automatic refresh” and choose to receive updates for Direct Messages, @Mentions (from the people you follow or anyone), and Tweets. 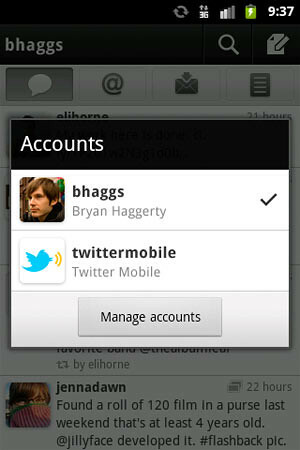 The 2nd feature is multiple accounts support. The switch between accounts is easy. Now you can quickly switch to your secret identity and tweet your friends mysteriously. Apart from push and multiple accounts support, they also fixed some bugs and added a bunch of other improvements. You can get the update now from the Android Market.